A fairly new SL5i .30cal with approximately 1000 rounds through it. Manufactured 05/18. This over barrel moderator has fired a very small number of shots & is in virtually new condition. Saves £100 on the price of this moderator new. Used but only with 3 rounds through it. Lightly used/ VGC Ase S7 Moderator .338 Caliber with 1/2x20 UNF thread. Customer had been sold this item to go on his 243 Tikka T3! - Yeah, we know! Dealer no longer trading. JETZ Compact sound moderator, excellent sound reduction. Threaded 18x1, in good condition. Can RFD Courier if required. The TRIDENT muzzle mounted moderator is a unique modular sound moderator with the option of using as a muzzle break. Have a look on YouTube at the below video (cut and paste the below into your search engine). MAE T12 Scout 1/2" UNF thread. In excellent condition, can be sent to your local RFD. Full stailess steel construction, will not corrode or gas cut like other moderators. Suitable from 17 Hornet to 308. 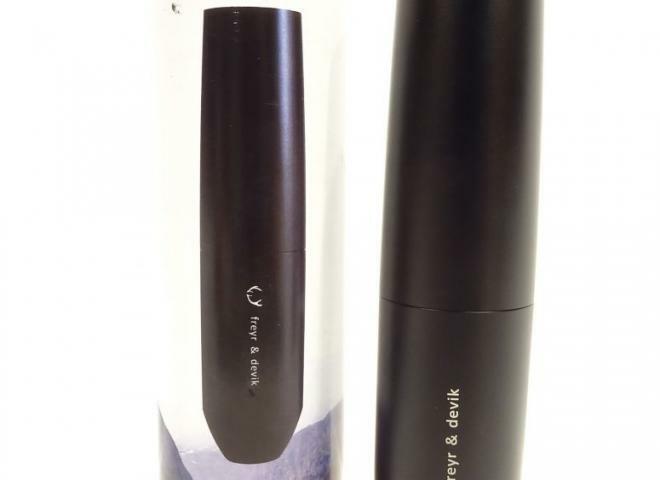 Stainless Steel construction, Length 210mm, weight 480 Grams, Proofed. Cerakoted in Stainless H152. Virtually unused. 5/8" UNF. A very clean A-Tec CMM4 in M14 x 1. ROEDALE 6.5mm DELTA IV ULTRALIGHT M14 x 1, 6.5mm CAL. 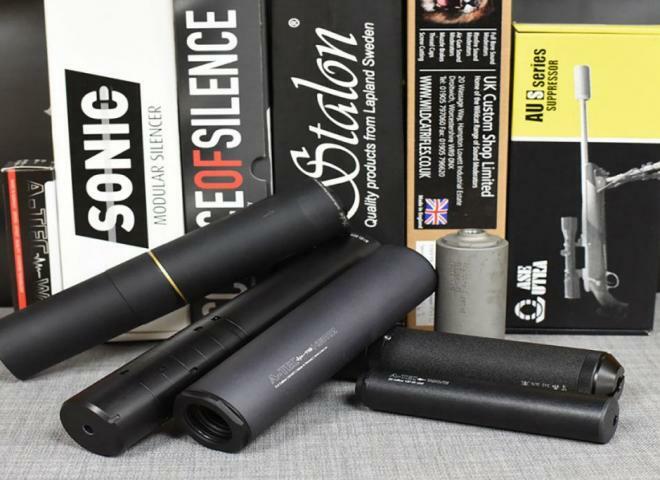 We have a range of sound moderators in stock, in various makes and calibre. If there is a specific moderator required then we will be happy to order one for you. 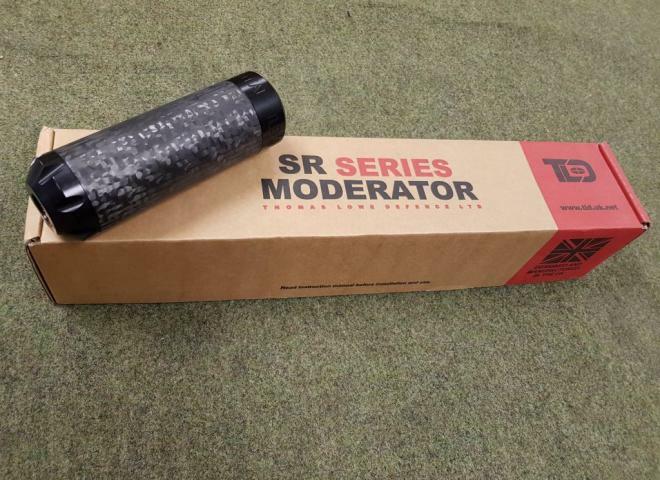 We have a range of different moderators in stock for various calibers. Feel free to give us a call in the shop if there is something specific you need.